BUSD students were treated to a wide variety of first-person reports about many possible future options in the annual College and Career Awareness Week last week. The week featured panels and presentations from professionals in a broad range of fields, including public service, mental health, tech, women in STEM, journalism and more. Our youngest students enjoyed visits from Berkeley firefighters who showed up at some sites with a fire engine. Berkeley High Students had a chance to gather information on Berkeley City College and other community colleges at a Community College Fair on the last day. School libraries featured career exploration activities and opportunities to peruse colorful displays of books about the many different career paths students may want to pursue. A parent night at the YMCA Teen Center presented parents with information on the many opportunities students have after high school with a special focus on supporting first-generation college students. 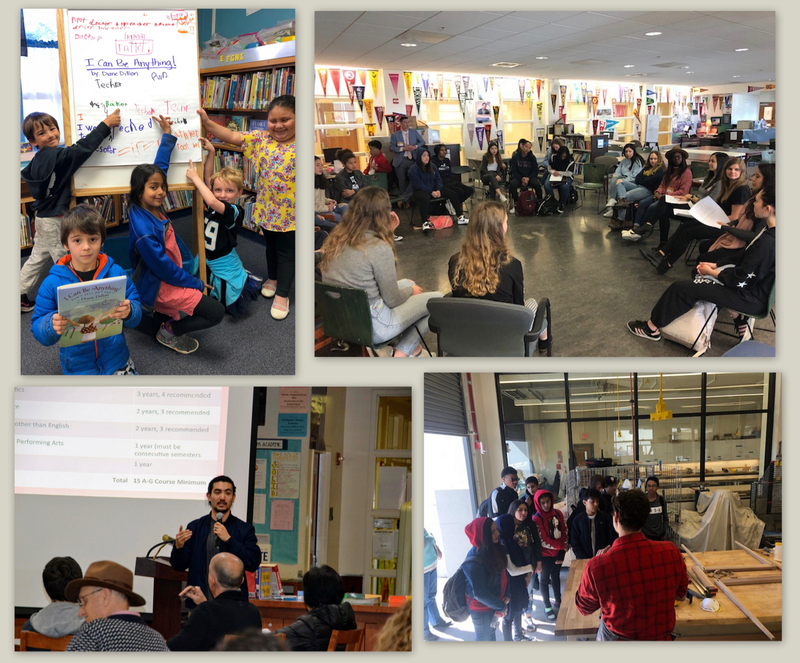 College and Career Awareness Week is a project of Berkeley’s 2020 Vision: Equity in Education, which is a partnership of BUSD, the City of Berkeley, Berkeley Community College and UC Berkeley. Thank you to everyone who participated and made it a very interesting week for our students!